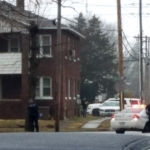 A police stand-off along North Gilbert Street in Danville ended peacefully late Monday afternoon. 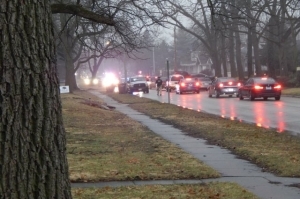 Danville Public Safety Director Larry Thomason told VermilionCountyFirst.com News that it started with officers responding to a report of shots fired…. 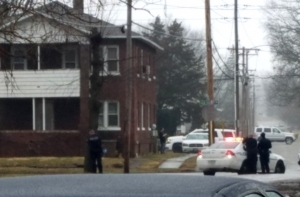 A police negotiator succeeded in getting the person to surrender and that person was taken to a local hospital to be evaluated. Director Thomason says the negotiator did a good job…. More than a dozen police officers were on the scene. They included not only Danville Police but also Vermilion County Sheriff’s Deputies and the U.S. Marshal Service. The negotiations went on for more than an hour before the suspect surrendered. Some Danville schools were placed on a soft lock-down during the incident.